Berry Dive Center is Chicago lands premier dive center. As a PADI five star (IDC) Instructor Development Center we have been serving and training water enthusiasts in Scuba Diving for over 35 years. 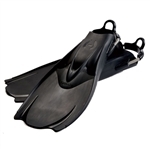 We are a full retail and instructional dive shop offering the latest gear for sale as well as for rent. Please navigate our website to shop on-line or stop by the shop for a visit in person if you're local. We have an experienced Instructional and Sales staff waiting to talk 'scuba diving' with you! Fleece lined hooded after-dive coat with water repellent soft Nylon outer shell. Designed for use before and after a dive, the CT200 Dive Parka offers increased warmth and coverage on a chilly boat. The compact Sea Dragon 1200 Photo/Video/Dive Light uses the latest in LED technology, providing 1200 true lumens of brightness. with the latest advanced materials and hydrodynamic innovations Hollis F1 - "Bat Fin" Power without compromise. The Hollis fin blends graceful movement, power, and bulletproof construction. Meet the new standard in diving. Secures camera flat against your wrist for hands-free convenience. Enables you to quickly pivot camera upright to capture video and photos. 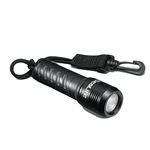 Designed for multiple applications down to 300 feet/100 meters, the Sea Dragon Mini 600 features a wide 75-degree beam angle, two power modes, and easy on/off control with the twist of the light head bezel. NEW for 2014! The DB0101 IMPREX Dive boots feature and injection molded sole with super traction. 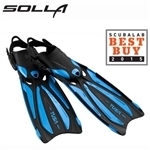 Made from 5.0 mm neoprene and nylon jersey these are sure to give your feet superior comfort. Start your Certification right now! PADI eLearning is internet based (online) course work that you can access from anywhere via the world wide web. With PADI eLearning, you can sign-up and complete the knowledge-based dive training from the convenience of your home, office or on the road, 24 hours a day, seven days a week. PADI's eLearning system gives you the flexibility to study course material at your own pace. However, during the course, you can access the support of a PADI Professional at Berry Dive Center by email or phone to get guidance and help about the topic you are studying. Now is the time to dive into the PADI Open Water Diver course, the most popular dive program in the world! This is your ticket to a lifetime of intense adventure with PADI, the dive company that sets the standards in the global diving community. Your PADI Scuba Certification will never expire and lasts a lifetime!